Lately via Instagram and Facebook, I have been receiving some questions about go-to foods when you are busy and not sure of your schedule. Really, I am a planner. I can plan everything, over-analyze how my day will go, readjust my plans, and then some. However, there are some great go-to foods that keep me stocked up on protein and energy, and keep me from getting hungry. As you can see, I get very excited about food and I get very upset when my blood sugar is low. Remember: This is what works for me-with my height, weight, and sensitive stomach. The best thing with your activity levels, your stomach, and your local food options is to find what works for you. 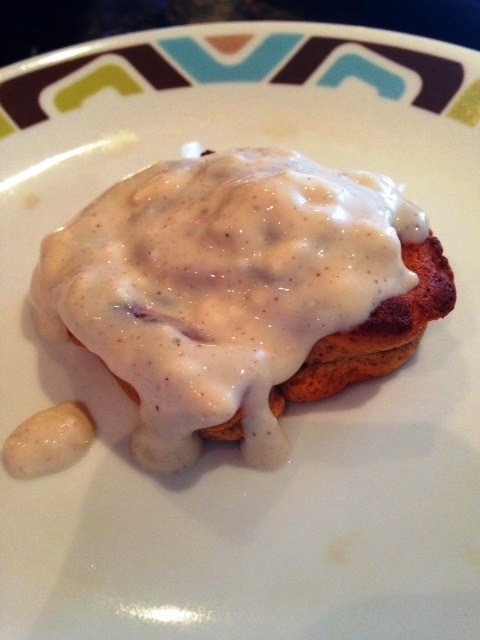 ☼ Quest Bars – Favorite flavors are Apple Pie, Cookies N Cream, Strawberry Shortcake, and Cinnamon Roll. They are also the easiest for me to turn into recipes. Cinnamon Sticky Buns anyone? ☼Soy Milk, Coffee, and Truvia- This keeps my blood sugar under control with the protein in the soy milk and gives me a little boost of energy from the caffeine and truvia. ☼Greek Yogurt and Organic Frozen Berries with Cinnamon- This is easy to pack on your way out the door! A little nonfat, plain greek yogurt, pour some frozen organic berries and sprinkle with cinnamon. The berries will defrost on your way to work and be perfectly delicious when you arrive at your desk. Not to mention the frozen berries keep everything else cold. 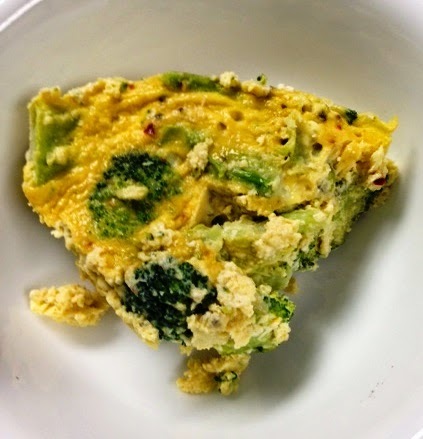 crustless broccoli quiche is a great go-to. Make it the night before and it’s ready for work the next day. ☼ Peanut Butter Sandwich- All day, errryday- Truly, LOVE Smucker’s All Natural Chunky Peanut Butter. Two Ingredients–> Peanuts and Salt, Can it get any cleaner than that? Not to mention, Smucker’s had the lowest presence of aflatoxins - to know more, click on the link to the Beyond Broccoli Blog. She explains plenty more about aflatoxins. First of all I try to avoid a lot of processed carbs at dinner. I prefer meat and vegetables, but if we are going out to eat or going to someone’s house, I’m not afraid to indulge a little. Some people like little small dinners so they can sleep better, I am not one of those people, I can eat a big dinner and still sleep like a champ. Here’s an easy example #1: I came home starving, mixed three type of lettuce, spinach, and arugula as the base. Added chopped cauliflower, carrots, onion, and red beans (protein source). Then ground up some fresh black pepper, garlic, and topped it with red wine vinegarette. Total time- five minutes! Healthy filling and quick!